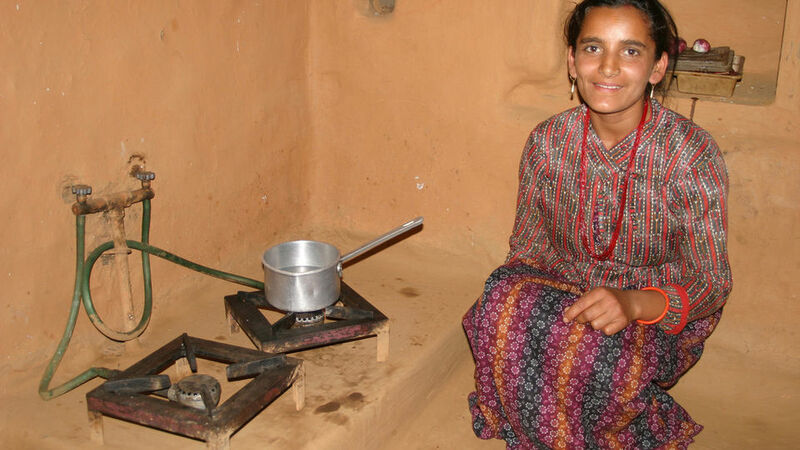 Mrs Pria Devi cooks with biogas, Thunilsina, Nepal. About 80% of households in Nepal use fuelwood, cattle-dung cakes and agricultural residues for cooking, and kerosene for lighting. Demand for fuelwood has led to degradation of the land and damage to vital watersheds. To reduce pressure on wood supplies and provide cleaner cooking, Biogas Sector Partnership (BSP) has coordinated the installation of domestic biogas plants which use cattle manure to provide biogas for cooking and lighting. Over 124,000 household biogas plants installed between 1992 and 2005. Each plant saves about 2 tonnes/year of fuelwood for cooking. I would never have contemplated marrying a man whose home didn’t have a biogas plant. It makes such a difference to your life. About 80% of households in Nepal use fuelwood, cattle-dung cakes and agricultural residues for cooking, and kerosene for lighting. Demand for fuelwood has led to degradation of the land and damage to vital watersheds. Cooking indoors over open fires and lighting with kerosene exposes people – particularly women and young children who spend much of their time indoors - to air pollutants. There is also a high risk of fire. In addition, women and girls have the drudgery of collecting fuel. Demand for fuelwood has led to degradation of the land and damage to vital watersheds. The Biogas Sector Partnership (BSP) in Nepal has coordinated the installation of biogas plants that use cattle manure to provide biogas for cooking and lighting. Women can use the extra time saved from not collecting fuel for income generation. BSP is a non-governmental-organisation (NGO) established in 1992 to manage the biogas programme in Nepal. BSP does not install plants but provides training to users and biogas companies, ensures quality and long-term reliability of plants, and manages the programme of subsidies to purchasers. The main source of funds for the BSP is currently from the Dutch German and Nepali governments, totalling US$3.4 million/year in 2009 – with about 2 million going to biogas subsidies and the rest for programme management. A further US$400,000/year comes from carbon finance through the World Bank managed Community Development Carbon Fund. Biogas systems take organic material such as manure into an air-tight tank, where bacteria break down the material anaerobically (without oxygen) and release biogas – a mixture of mainly methane (60 to 70%) and carbon dioxide. The gas is piped to the kitchen inside the house, where it is used for cooking on specially-designed burners, and sometimes for lighting as well. The gas pressure pushes digested residue out from the base of the digester into a reservoir tank, from where it is collected and used as fertiliser. A 6m3 plant costs between US$340 and US$440 (21,000 and 27,000 NR). The variation in cost depends on the location of the plant, since additional costs are incurred transporting materials and building plants in the more remote, hilly areas. The subsidy programme managed by the BSP is designed to correct this difference by providing higher subsidies to families in more remote locations, so all owners of 6 m3 plants pay the same amount, about US$240 (15,000 NR). Biogas systems take organic material such as manure and break down the bacteria anaerobically to release biogas. About one third of this is paid in kind, through the family providing labour and materials. The remaining US$160 is a significant amount of money in Nepal, but people are willing to pay for the benefits of biogas. Also, over 80 banks and micro-finance organisations in Nepal will provide loans for biogas plants because they are regarded as a safe investment. Most families pay back their loan within about 18 months: those who previously purchased fuelwood will have saved more than the cost of the biogas plant within this time. By 2005, over 6,000 people had been trained in plant construction, and all users had been trained in operating biogas plants and carrying out minor repairs. One of the main roles of the BSP is to provide training and quality control. By 2005, over 6,000 people had been trained in plant construction, and all users had been trained in operating biogas plants and carrying out minor repairs. In 2005, installations were carried out by about 61 private construction companies, which were monitored and accredited by BSP. The cost of the biogas plant includes a three-year guarantee period, during which time free maintenance has to be provided by the installation company - another incentive to install high-quality plants at the start. Latrine built directly over a biogas plant. The combination of robust installations, affordable finance, support and quality checking has led to very high success rates for biogas plants in Nepal. BSP commissioned independent research which showed that 97% of the plants installed under the programme were still in operation in 2005. Between 1992 and 2005, BSP managed the installation of over 124,000 domestic biogas plants in Nepal. With an average of six people per family, these plants benefit about 740,000 people. BSP has also provided design guidance and other advice for the installation of around 100 larger (50 m3) biogas plants in schools and hospitals in Nepal. The introduction of biogas plants has reduced the consumption of fuelwood. BSP estimates that an average rural household uses about 2 tonnes/year of fuelwood for cooking, so the plants installed up until 2005 save a total of about 250,000 tonnes/year. 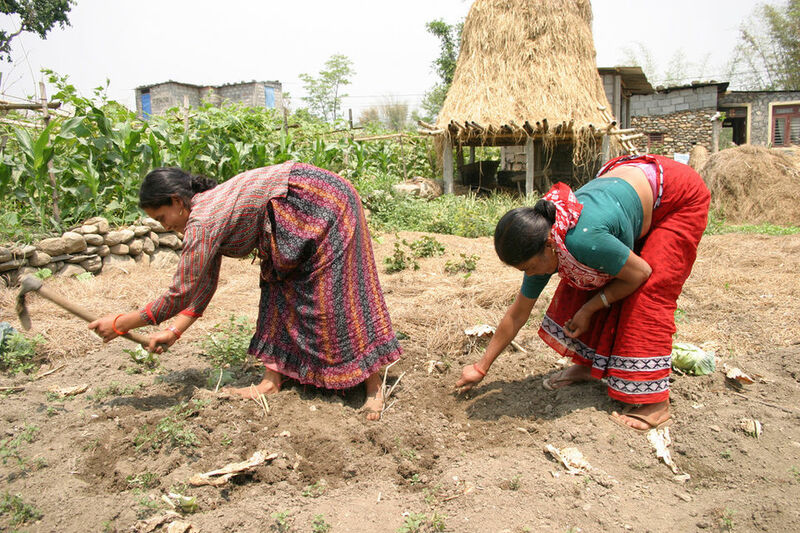 There is visible evidence of forest re-growth in Nepal, brought about mainly by an active programme of tree planting, but also by the reduction of fuelwood use through the biogas programme. The plants installed up until 2005 save a total of about 250,000 tonnes of fuelwood per year. There is visible evidence of forest re-growth in Nepal. There are substantial savings in emissions of greenhouse gases, including CO2 from avoided fuelwood and kerosene use, and N2O from synthetic fertilizer. However there is a small net increase in methane emission, because the unburned methane from cooking and minor leaks is slightly greater than the avoided emission of methane from manure disposal. Taking all of these into account, BSP estimated a net saving of about 3 tonnes/year of CO2 equivalent per plant, or a total of 370,000 tonnes/year for the plants installed up until 2005. Gathering fuelwood takes considerably longer than collecting and mixing dung. Research commissioned by BSP found that households with biogas plants save on average three hours per day. This time saving has a huge impact on the lives of women and girls, who use the extra time for income generation or for education. I am the first pupil in my region to get first division in the national examinations. This is because since we have had a biogas plant I have had the time and the light to study in the evenings. 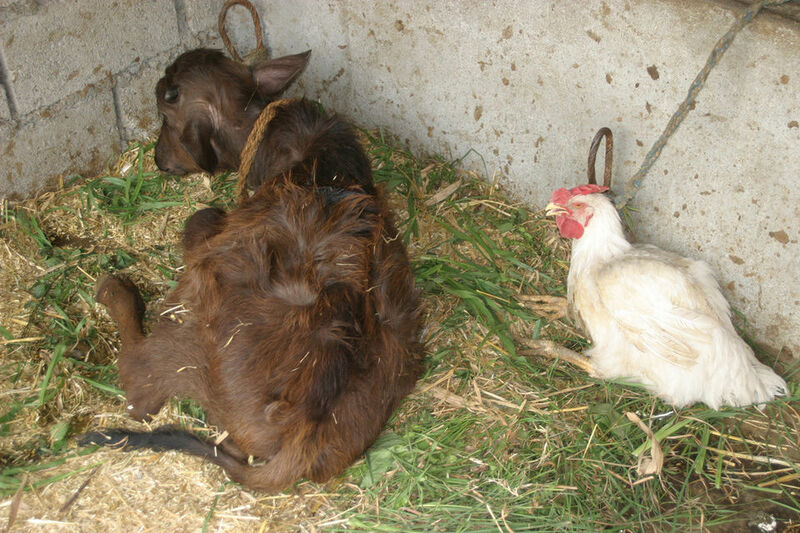 Fuelwood and, in particular, cattle dung-cakes are very polluting fuels when burned indoors on open fires. Women and children are exposed to high levels of carbon monoxide, particulates and unburned hydrocarbons. Biogas produces very low emissions and thus brings enormous health benefits and also leaves the kitchen much cleaner. Biogas stoves are very easy to control and there is less risk of accidental burns or fires because the stove is turned off as soon as cooking has finished. 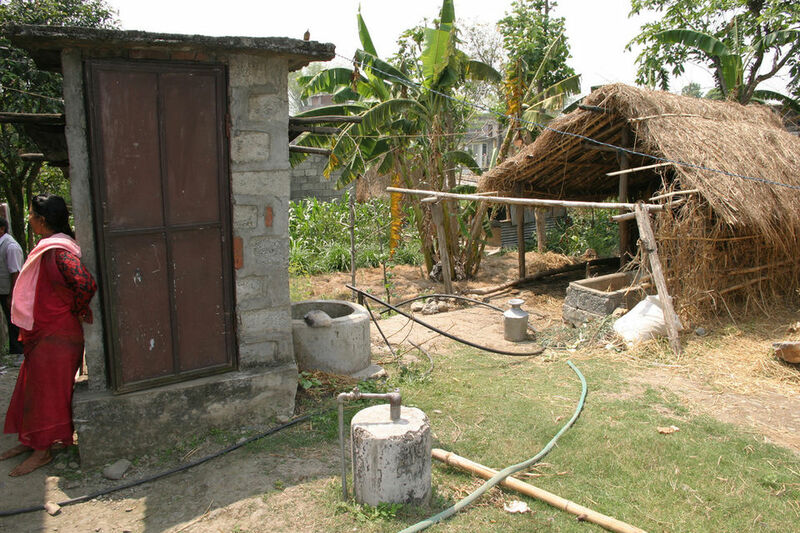 Linking toilets to the biogas plants produces a small increase in biogas production, but significant health benefits. Education in hygiene can also be given as part of the general training in the use of the biogas plant. 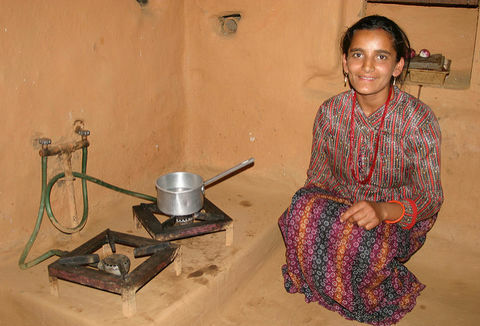 About 20% of households use some of the biogas for lighting, instead of kerosene lamps. This produces better light, avoids kerosene fumes, and prevents the risk of fire from lamps that are knocked over. Each plant produces about 1.75 tonnes of organic compost each year, which owners use instead of chemical fertiliser to improve soil quality, for fish food or for sale. The technical and management training provided by BSP has led to the development of a private biogas business sector in Nepal. In 2005, there were over 61 construction companies, 15 biogas appliance manufacturers and 80 finance institutions involved in the biogas sector, providing over 11,000 long term jobs. The programme has continued to thrive since 2005. By the end of 2009, a total of 208,714 domestic plants had been installed - nearly 70,000 more than at the time of the 2005 Ashden Award - benefitting some 1.25 million people. 20 institutional plants have also been installed. Total wood savings at the end of 2009 are estimated to be 420,000 tonnes/year, saving the equivalent of 630,000 tonnes/year CO2. The introduction of a new survey methodology for wood and carbon savings found 2 tonnes/year wood and 3 tonnes/year CO2 equivalent per domestic plant (these values have been used in the calculations above). Total wood savings at the end of 2009 are estimated to be 420,000 tonnes/year, saving the equivalent of 630,000 tonnes/year CO2. The Ashden Award was used to develop rainwater harvesting systems so that biogas systems can be used in drier areas. By 2009, 456 domestic biogas plants had had rainwater harvesting systems installed. Rainwater harvesting systems have been developed further for institutions, so that water can also be used for drinking and irrigation. 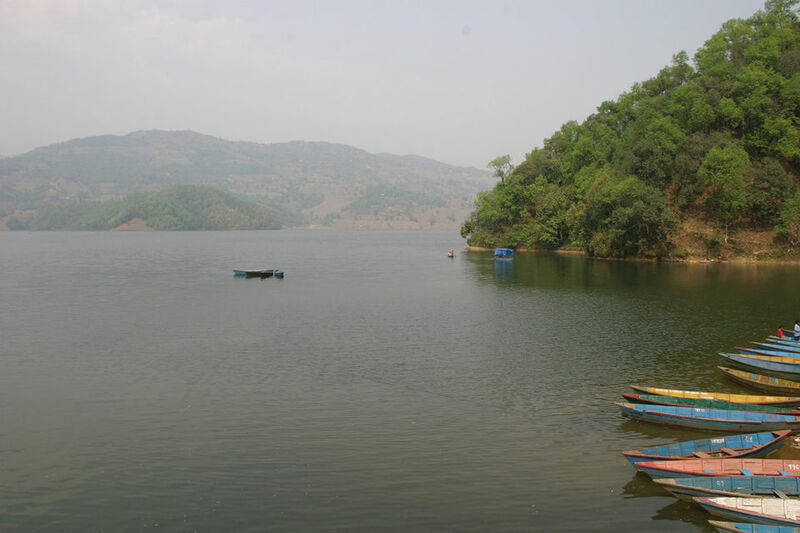 By 2009, six institutional rainwater harvesting systems had been installed. Other technological developments include the design of better insulated plants for use at higher altitudes; and the introduction of a small 2m3 plant so that poor households with just one piece of livestock can install one. Both these new technologies are beginning to be installed.